Bedtime has never been so organized. You could make one of these for every room of the house and have ones for remote controls, kitchen utencils and hand towels. 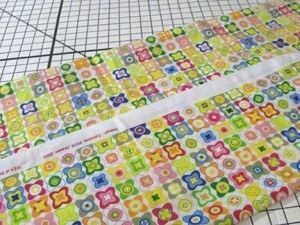 Cut a large rectangle of fabric. Fold over the fabric so that a 5th remains. Fold up this edge and pin in place. 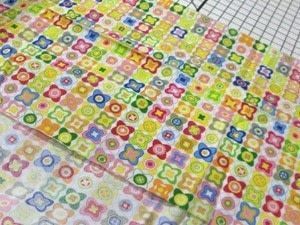 Lay out your typical bed time items on top so that you can work out how wide to make the pockets and use pins to mark where to sew. 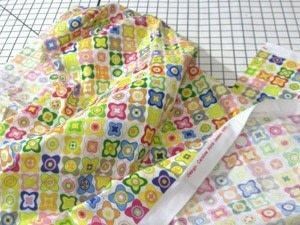 Pop your items inside the pockets before sewing to make sure they all fit. 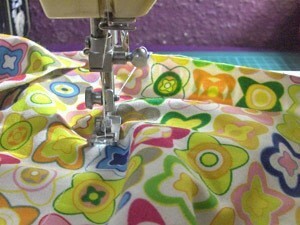 Sew each of the pockets in place. 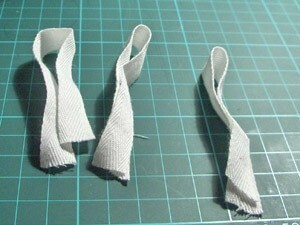 Fold ribbons in to hoops. 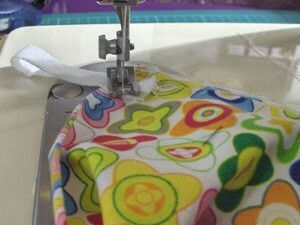 Sew the ribbon hoops on to the back of the hanger. 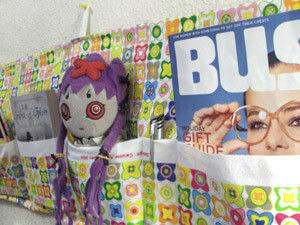 Hang on the wall and fill with all those useful things - diary, good novel, pens, tissues, magazine, favorite teddy, torch for reading under the duvet, bedtime snack. and also am currently in scotland... any ideas for where to buy this awesome fabric?? 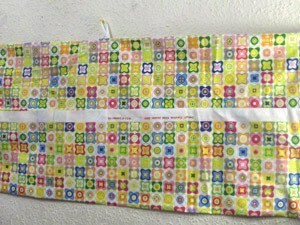 or any other awesome fabric?? 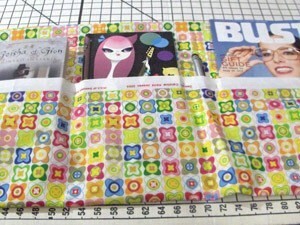 oh wow!its so cool!im gonna make one! I want one! I'm still practicing using my sewing machine It doesn't like me very much. Haha! 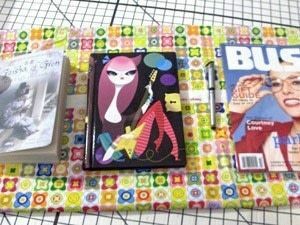 I'm going to try it out with the old sheets that match my current set - little too worn for me - but my mags & books would love it. Thank you, the doll is Annabelle from the Nightmares & Fairytales comics.